Once again Happy New Year! This past month has continued to challenge the operational skills of our commands. From Wildfires to Mud Slides as well as the most significant influenza outbreak in over a decade. Our members performed admirably, responding to over 1500 calls per day and transporting 700 patients daily to area hospitals. 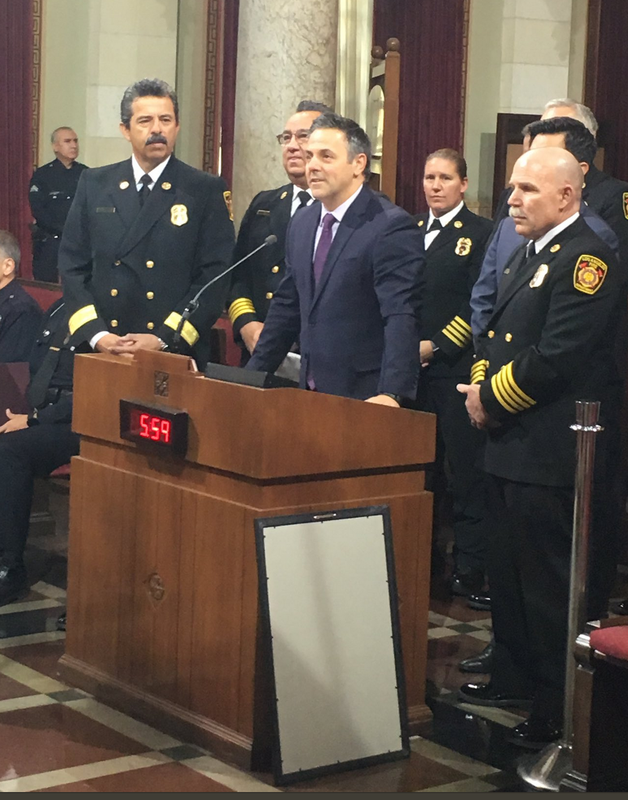 There is no doubt that the LAFD is busier than ever, facing new complex challenges and hiring some of the best and committed firefighters in the world. Your COA Board has been busy working on several projects including a resolution to the MOU22 overpayment issue. We will begin contract negotiations this year for the 2019 MOU at by now you should have received the January 2018 2% salary increase. We are always looking for members to assist with the negotiation process and providing input for our next contract. Please contact Rick Combs if you would like to volunteer. Our message for February 2018 is to get involved with your COA. Our organization was founded in 1955 and is the oldest command officers association in the Western United States. As we celebrate our 68th birthday, we welcome new ideas and your engagement to carry on the next six decades of service. If your schedule is too busy to commit to the COA, then we encourage you to volunteer at the LAFD Historical Society at old Fire Station 27 or the African American Firefighters Museum at old Fire Station 30. Both of these institutions provide a way for us to stay connected to our time-tested profession and give back to those who have served in the LAFD. For those of you looking to take the next leadership step in your career, the Fire Assistant Chief exam is open for filling, and the current Fire Battalion Chief list will expire this year. Please reach out to your board members or other peers if you need some support during the process. As chief officers, our job is to learn the position of those above us and teach our job to those below us. The the long term perpetuation of our association requires that we “leave it better than when we found it”. On January 24, 2018, your COA Executive Board voted unanimously and by consent to maintain the current executive team in place. Congratulations to President Andy Fox, Vice President Patrick Butler, Secretary Kady Kepner, Treasurer Robert Nelson and Directors Jamie Moore, Rick Combs and Antoine McKnight. 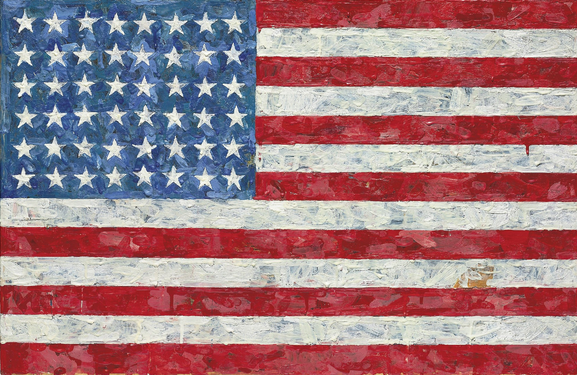 In a new section of the COA newsletter, we will salute the men and women of our armed forces serving on active duty. Specifically, we would like to honor the sons and daughters of our COA members or other immediate family members who are serving. 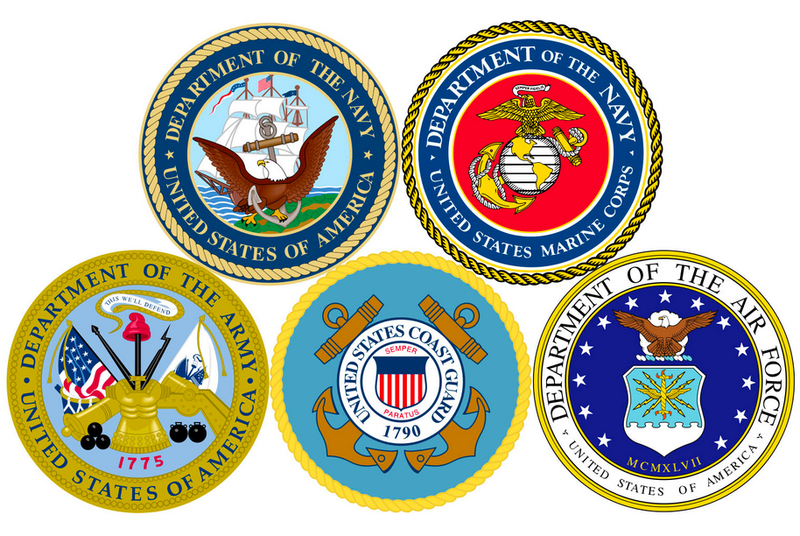 Please let us know if you have a family member serving on active duty so that we can thank them for their service. We also want to thank our LAFD members who are the proud parents of these Soldiers, Sailors, Airmen, Guardsmen, and Marines. Sergeant Conner White enlisted in the United States Marine Corps in September 2012. 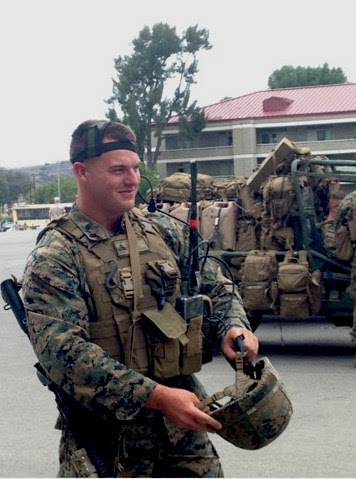 He attended boot camp and infantry training at Marine Corps Recruit Depot San Diego and Pendleton, CA After acquiring the Marine Occupational Specialty (MOS) of 0341 Infantry Mortarman; he received orders to 1st Battalion, 1st Marine Regiment at Camp Pendleton, CA where he deployed twice between 2014 and 2017. He then received orders to Infantry Training Battalion, School of Infantry West, where he is currently serving as 0913 Combat Instructor. Sgt. White has training in a variety of leadership billets and has acquired the MOS 0916 Martial Arts Instructor, 0933 Combat Marksmanship Coach, 0365 Infantry Squad Leader, Foreign Weapons Instructor, Leadership and Ethics Seminar Leader, and Combat Lifesaver. 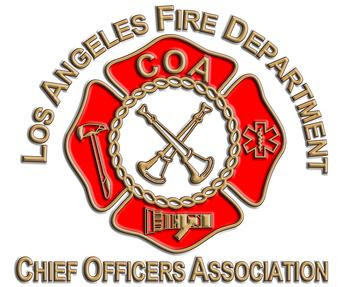 On behalf of the Los Angeles Fire Department Chief Officers Association, we STAND & SALUTE Sgt. Conner White for his service to our country. Assistant Chief Wade White and his wife are the proud parents of Conner. 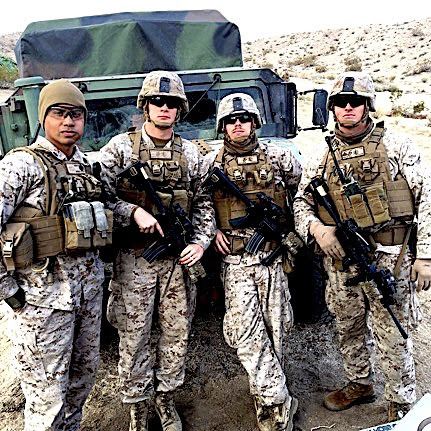 Conner (below far right) and his Marine comrades. 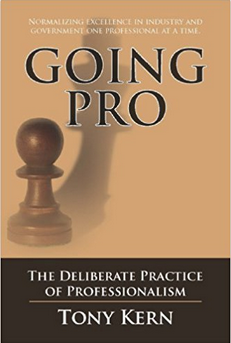 Going Pro provides a clear definition and pathway to “extreme professionalism” for individuals and organizations. Kern introduces the concept of Level III professionalism and provides a detailed improvement path with self-assessments and action steps throughout. 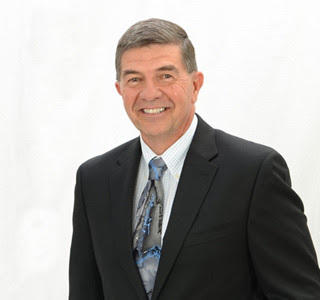 About the author: Dr. Tony Kern has dedicated his professional career to reducing human error and improving performance in high-risk environments such as aviation, military operations, surgical teams, law enforcement, and firefighting. He is is a retired Lt. Colonel and served as an Air Force Command Pilot and Flight Examiner in the B-1B bomber, as well as diverse senior staff and leadership experience, including service as the Chairman of the U.S. Air Force Human Factors Steering Group. Battalion Chief Allen “Felix” Norman (ret) was the first LAFD member to graduate from the NFA Executive Fire Officer program. Felix was an instrumental contributor to the LAFD Strategic Plan and has always been known to be a practical academic in the LAFD. Even after retiring from the LAFD, Felix continued to donate his time for the betterment of our organization. Important History: LAFD (Ret.) Assistant Chief William M. Neville was the 5th Superintendent of the National Fire Academy. 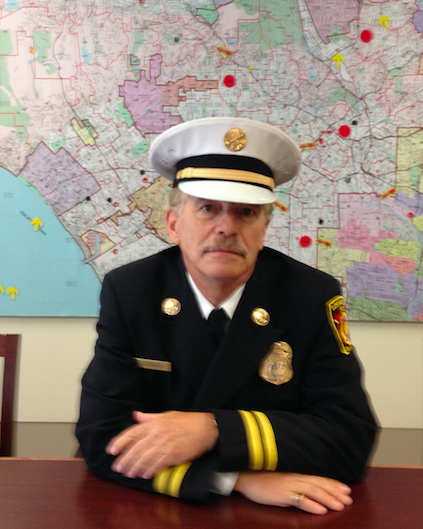 Bill retired as the LAFD Chief of Staff and was appointed by the White House Staff to serve as the Superintendent of the National Fire Academy from 1986-1988. Beyond the top-notch education, there’s a lasting sense of fire service community that’s not replicated anywhere else. So why persevere? 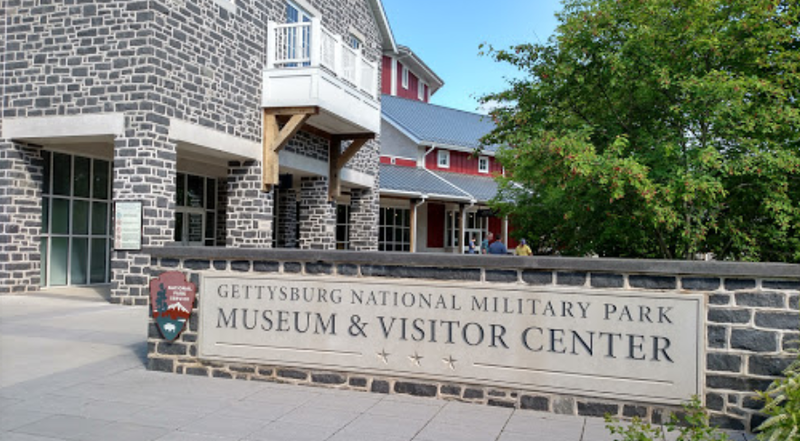 Why go to the trouble of traveling to a small town in Maryland for a week or two? There are plenty of other opportunities for education and professional development out there — conferences and state and regional fire schools and colleges and universities. It’s true that the National Fire Academy is not a good fit for all firefighters at all points in their fire service lives. Even though the courses are subsidized through federal funding, which means that participants usually only pay for their food and incidentals while on campus, it is still a big commitment to take several weeks of time away from work and family to attend. Attending a course (or a series of courses, such as the EFO program) at the National Fire Academy is often not convenient. The course content may be similar to offerings at a more local level. The social aspect of the experience can perhaps be replicated by making friends and networking connections at a fire conference. 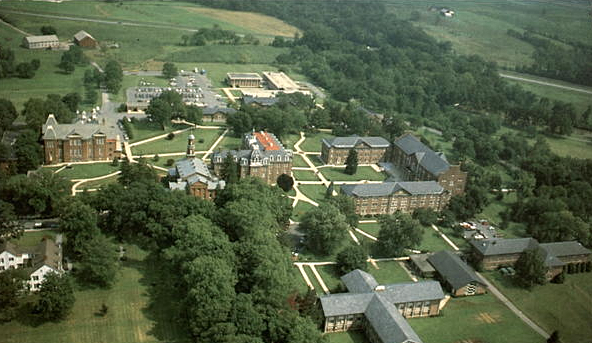 But at no other place will all of it come together as it does in Emmitsburg. 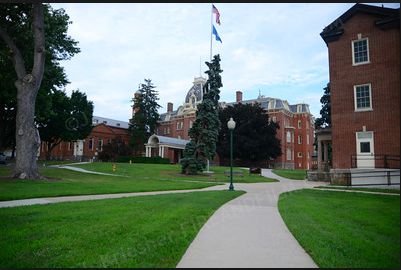 More than being a school, the National Fire Academy campus is more of a retreat setting. Fire service professionals from all types of fire departments, and from all over the world, meet equally to learn together, share experience and knowledge among themselves, and make connections that can last a lifetime. First, there was fire. Then rain. And then the deadly debris flows that devastated Montecito, California. More than a twenty people dead, and at least 400 homes damaged or destroyed by fast-moving floods that swept mud, rocks, and charred wood left exposed by the Thomas fire. The LAFD deployed a Type 3 Strike Team, Urban Search, and Rescue Resources and other technical specialists. 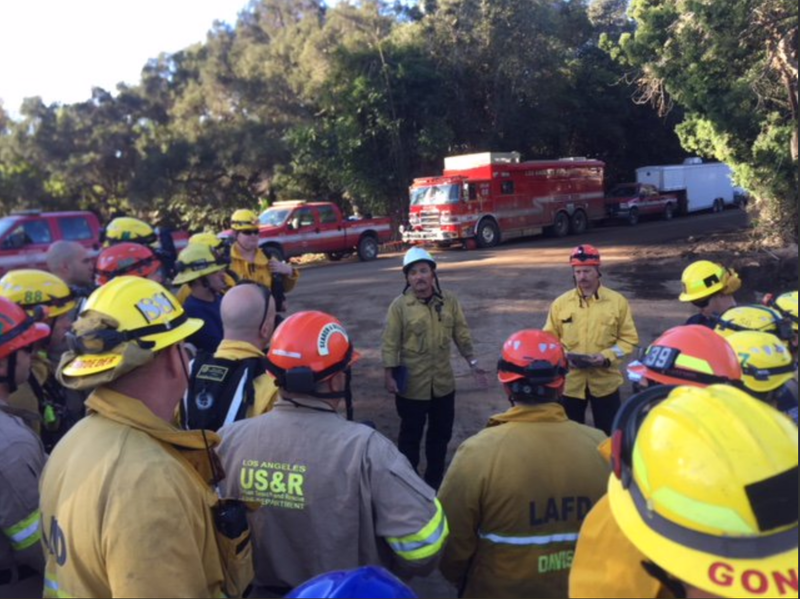 Battalion Chief Mark Akahoshi conducts morning safety briefing with the LAFD crews. Congratulations to Deputy Chief Daren Palacios and Deputy Chief Chuck Bulter for their dedication to the City of Los Angeles. Both of these exceptional Fire Officers were recognized by the Los Angeles City Council. Thier impact and legacy will be felt for many decades, and their leadership influenced many others to excel in their positions. The COA wishes them the very best in their well-deserved retirement. (L to R) Fire Chief Ralph Terrazas, Deputy Chief Daren Palacios, Councilman Joe Buscaino, Deputy Chief Charles Butler, (back row) Deputy Chief Kristin Crowley. “The arc of the moral universe is long, but it bends toward justice.” – It has been 50 years since the assassination of Martin Luther King Jr. One of the most influential and inspirational African-American leaders in history, he is best known for his role in the advancement of civil rights, equality and human rights for African Americans, the economically disadvantaged and all victims of injustice through peaceful protest. Dr. King received the Nobel Peace Prize in 1964, among several other honors, he was posthumously awarded the Presidential Medal of Freedom and the Congressional Gold Medal. Martin Luther King Jr. Day was established as a holiday in numerous cities and states beginning in 1971, and as a U.S. federal holiday in 1986. The Martin Luther King Jr. Memorial on the National Mall in Washington, D.C., was dedicated in 2011. On Monday, January 15th, the LAFD & LACoFD joined forces to celebrate the Martin Luther King Jr. holiday at the 33rd annual Kingdom Day parade. 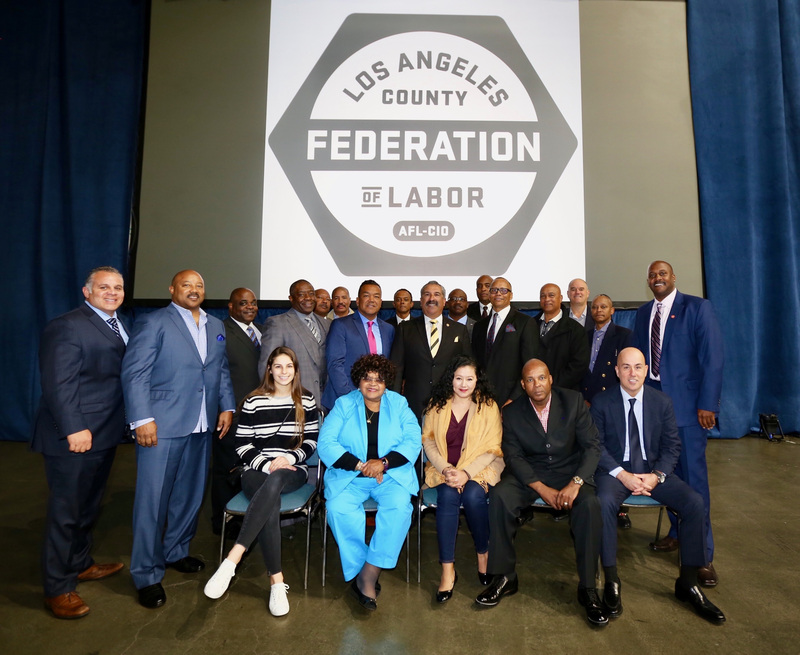 On Saturday, January 20th, the Stentorians, UFLAC, COA, and Fire Commission celebrated the Martin Luther King Jr. Labor Breakfast in Los Angeles. 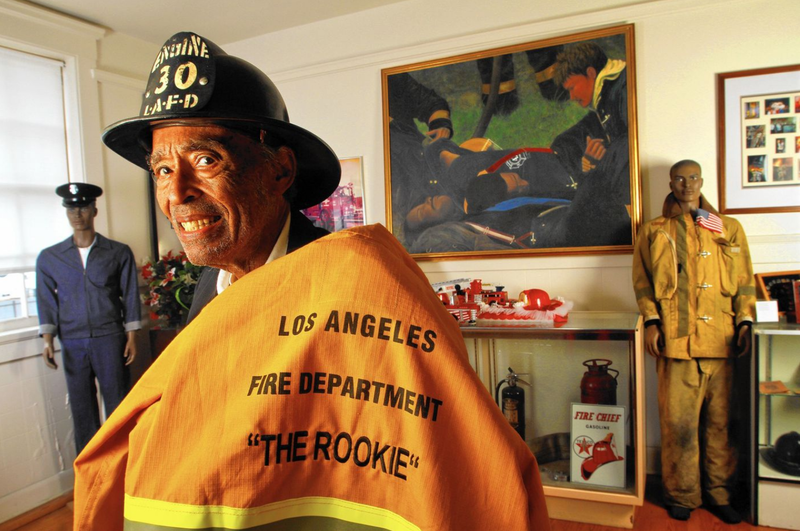 We are also reminded of the great work of Arnett Hartsfield Jr. – He was a firefighter, lawyer, educator and affectionately known as the “Rookie” who led the fight to integrate the LAFD. Appointed in 1940, he passed away in November of 2014, but left a lasting legacy on the LAFD. In response to a COA request and grievance, the department recently issued each affected member a breakdown of the salary schedule calculations, of the alleged over-payment. We appreciate the department’s quick response to our grievance. To that end, we encourage each member to review the calculations, and if there are no issues then select a method for repayment, it is our understanding that the department will also credit part of the money to your taxes. We appreciate the Fire Chief and his staff for their cooperation. If you have not done so already, please contact the ERO by January 31, 2018. Executive Development Fund – Over $40,000 still available please apply! The 2016-2019 MOU 22 provides Chief Officers with paid tuition, travel, and lodging for executive education opportunities. Please take advantage of this fantastic benefit that your COA Board has negotiated on your behalf. Please note that future executive exams will require formal education as a condition for exam eligibility. Login to the COA Website for more details or call Pat Butler or Jaime Moore for more information. The Deliberate Practice of Professionalism ~ Normalizing Excellence In The Fire Service One Professional At A Time.